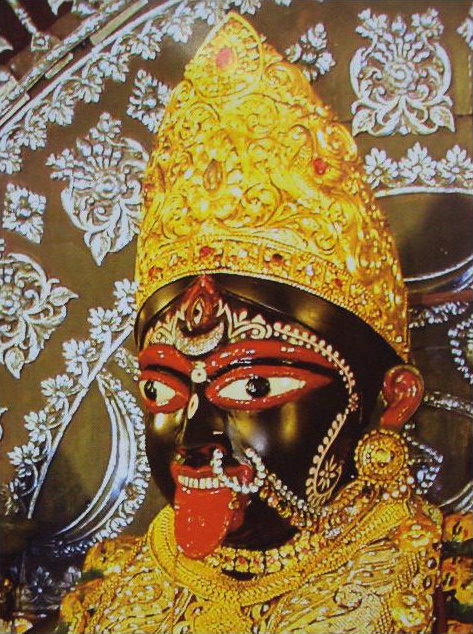 Kali – The white teeth of Kali represent conscience and the pressing red tongue represents greed. The 26,000-year cycle (where the sun appears to slowly regress 360 degrees through the twelve traditional constellations of the zodiac) is also separated into four Yugas, or ages. The four ages create a wave pattern where intelligence, spirituality, perception, and such, rise and fall. The wave is the highest during a Golden Age, and the last Golden Age began around 16,000 BC and ended around 7,000 BC. During the Third Age of Tretayuga (that ended about 3,000 BC), intelligence and such begins to fall. It continues to decline during the Second Age of Dvaparayuga, and reaches its lowest point during the Dark Age of the World, the Kaliyuga. The Kaliyuga began around 700 BC and ended around 1700, and we are now in the early days of the Second Age, but now, we are rising. The word “Kali” in Sanskrit means the “losing die of a dice, the side marked with one dot, the Age of Vice, Discord, and Quarrel.” It was an unlucky period to be alive, but things have turned around. We are now on the upswing, so look for better things in the future. In the Sanskrit language, “Dva” means two, and “Para” means better than. We are now enjoying the early phase of Dvaparayuga, and it will be better. During the Dark Age, there was no Buddha, Shining One, Messiah, Magi, Savior, and so on, because a hallmark of the Enlightened State is to be shining with light, and no one has been able to do that in a very long time. It is said that the Rigveda was written down to preserve it through the Dark Age, and preserve it it did, and the Sacred Knowledge to be glorious is being revealed again.